Tesla offers an electric driving experience no other car can offer at the moment. I would say instant torque, acceleration, and regenerative braking are the first things you notice about driving a Tesla. Most of the vehicles controls such as radio, maps/GPS, climate, and other vehicle settings are controlled by the 17" touch screen. Teslas are pretty much a giant smartphone app on wheels. That's how I'd describe the experience. It's more computer than it is car. There are two ways to buy a Tesla. First, you can custom order one the way you want it through Tesla's website. The second way is to order a car that is in inventory. This will take ~3 weeks. I suggest this way if you can find one that is close enough to what you're looking for. Often, you will get a discount if the car has been slightly used for showroom, test drives, or loaners. My car was one of these cars and I received a $4K discount for ~150 miles that was on it. A custom order will take 2-3 months or more depending on the configuration. 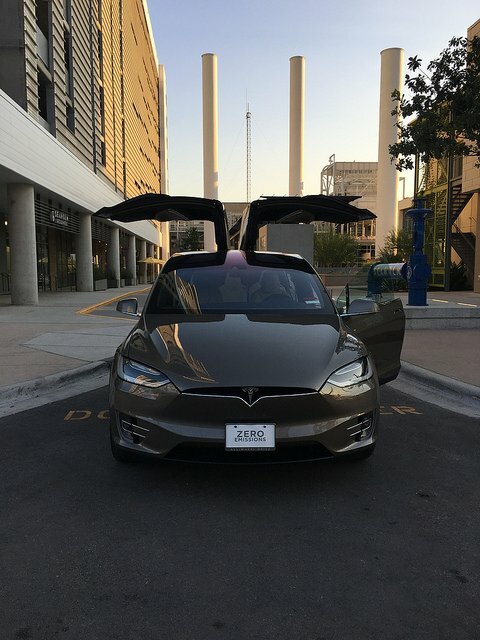 When your car arrives, you will schedule a pick up at the Tesla service center. They will go over the car and hand over the keys here. Since I was trying to be somewhat fiscally responsible, I ordered a loaded 75D versus the P100D with Ludicrous mode that is over $50K more. The sticker price on this car is still over $100K. This is the slowest Tesla that reaches 60 mph in 6 seconds. That's still plenty fast for an SUV, but twice as long as the 2.9 seconds the P100D does. If money is an issue, I suggest getting a 75D, or even a 60D. My first Tesla is a 2014 Model S P85. It's already faster than I can use on public roads. In day to day driving, having a 90 or 100 kWh battery means you can go an extra few days between charging. There isn't anywhere you can go with the larger battery packs that you couldn't go with the smaller ones. Since the larger battery packs are much more expensive and dropping in price, I'd pick the smaller 60 or 75 kWh battery packs. The battery packs are upgradable, so there is a chance we'll be able to upgrade to a larger battery pack in the future when they become more affordable. If you have good credit, Alliant Credit Union will finance nearly the entire value of the car at 1.49% APR for 6 years. Even if you have the cash, I'd suggest taking the loan because you'll probably earn a higher rate of return elsewhere, such as investing in crypto. The process is very straight forward and is done over the phone and email. They will coordinate all the paperwork with Tesla. 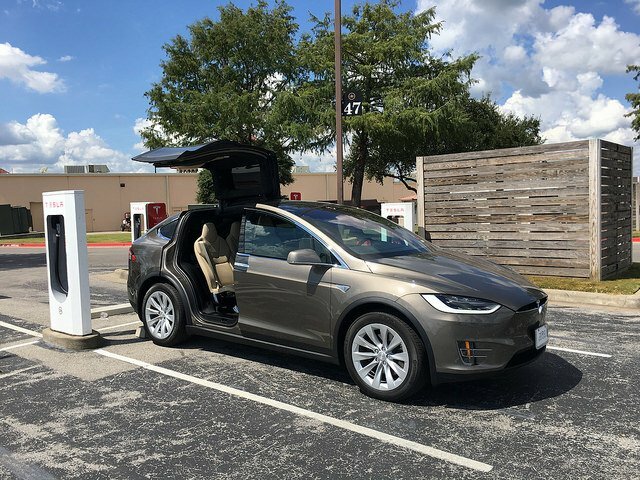 Since Tesla is not a dealer in Texas, you will need to register the car yourself. Remember you need to pay an additional ~6.25% sales tax. You'll take delivery at the service center, and get the necessary paperwork about a week later. 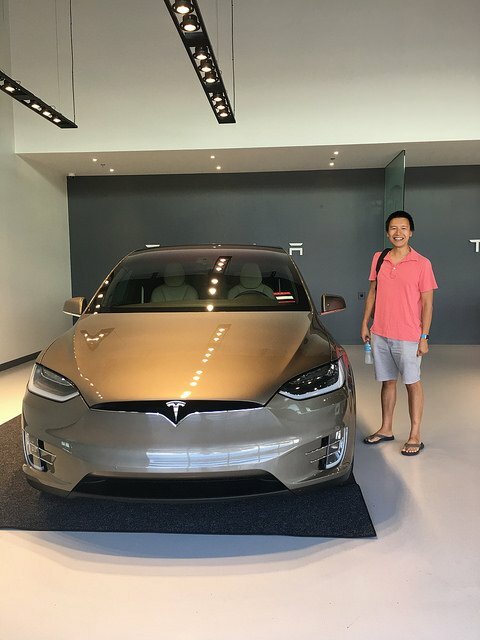 The driving experience is very similar to the Model S, which is well documented. 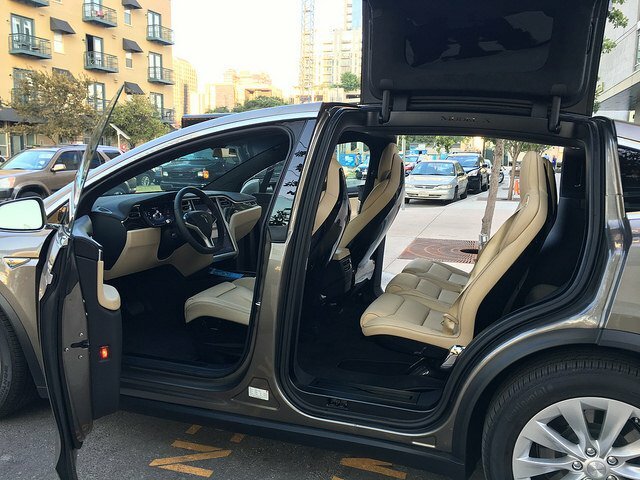 The immediate differences you'll notice about the Model X are the doors and the giant windshield. 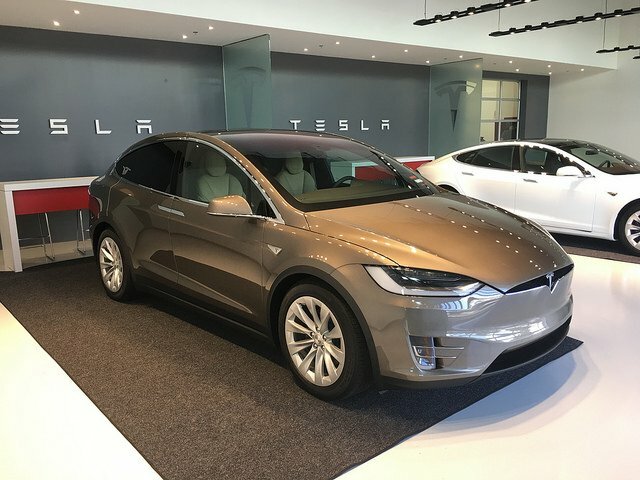 The Model X's windshield is the largest piece of automotive glass on the market. It's huge, and provides great visibility as it curves over your head. 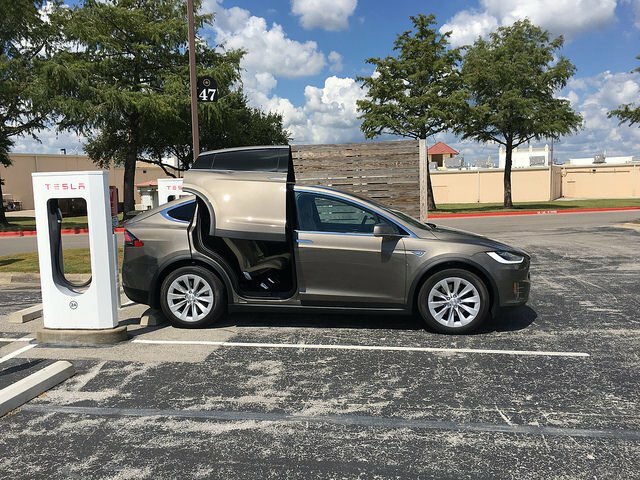 If you get the premium package, all the doors are motorized, not just the falcon wing doors for the rear passengers. The driver and passenger side doors, as well as the tailgate are all motorized and can open and close on their own. There are sensors that are suppose to prevent the doors from slamming into obstacles and crushing body parts, but I haven't tested them yet. Perhaps, I'll write a separate post about the doors. Much can be said about the doors, because these are the most sophisticated and complex doors on any vehicle. It has caused many problems for Tesla and was a major reason why this car was delayed for 2 years. Parking sensors. All Teslas now include front and rear parking sensors that automatically activate when you approach any obstacle. The screen gives you measurements to how far you are from obstacles along with audio warnings. GPS navigation using Google. Believe it or not, my 2014 doesn't have navigation. I've been using my phone to navigate. It's convenient to not have to plug my phone in to navigate. Memory seats. You can now create driver profiles that will save all the car settings for that driver. This is great as I don't need to readjust my seats every time someone else drive's my car.